It is not unusual for high school kids, or kids returning home from college for the summer, to attend parties and other social gathering where alcohol is available. Unfortunately, just one beer could wreak havoc on your child’s future. That’s because New Jersey has strict laws governing juvenile crimes like the possession or consumption of alcohol beverages by anyone under the age of 21. If your son or daughter is facing juvenile charges in Essex County or anywhere else in New Jersey, it is imperative that you speak with an experienced juvenile defense attorney. The Tormey Law Firm is a criminal defense team with attorneys who have handled thousands of juvenile crime cases, including underage possession of alcohol, underage DWI, and possession of a fake ID. Travis J. Tormey, the firm’s founding partner, regularly appears in municipal courtrooms throughout Essex County, including Bloomfield, Fairfield, and West Orange. Additionally, other members of the firm previously served as a Special Deputy Attorney General and a Municipal Prosecutor. Their experience as prosecutors gives us a major advantage when we defend your son or daughter because we have unique insight into how prosecutors strategize these kinds of cases. We also know how to work with the prosecutor to get your child’s charges downgraded to a municipal ordinance or dropped completely. If your child has been charged with an underage alcohol-related charge like underage consumption of alcohol, contact the Tormey Law Firm at 201-654-3464. Criminal offenses involving underage possession and consumption of alcohol are governed by N.J.S.A. 2C:33-15. The statute makes it illegal for anyone under the legal age of 21 to purchase alcoholic beverages, possess alcoholic beverages, or consume alcoholic beverages. If the possession of consumption occurs in a public place or a school, the charge is classified as a disorderly persons offense. If the offense is committed in a motor vehicle, the offense is also classified as a disorderly persons offense; however, it carries enhanced penalties that includes mandatory driver’s license suspension. Additionally, the offender could be subject to underage DWI charges. The charges for underage possession or consumption of alcohol are classified as disorderly persons offenses. 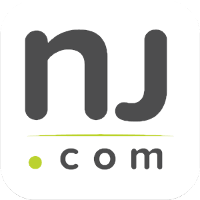 Under New Jersey law, a conviction for a disorderly persons offense can result in a maximum term of incarceration of 6 months in the local county jail and a fine of up to $1,000. Additionally, a conviction will result in a permanent criminal record. Additionally, keep in mind that you could still face additional penalties for committing these offenses in a motor vehicle. For example, underage possession of alcohol in a car can also result in driver’s license suspension for a period of 6 months. Beyond that, you could face DWI charges if you are intoxicated while driving. Do not face these charges alone. If your child has been charged with underage possession or consumption of alcohol, the Tormey Law Firm can help. You can call us day or night at 201-654-3464 to speak with an experienced juvenile defense lawyer, or you can email us to schedule a free consultation at our office in Newark, New Jersey.